How many of you have now bought the DF 700? Did you get both systainers with the dominos? Most important of all, what do you think of your new tool? Still waiting, hoping to get my complete set end of this week. Had mine a few days now and yeah, really really pleased with it. 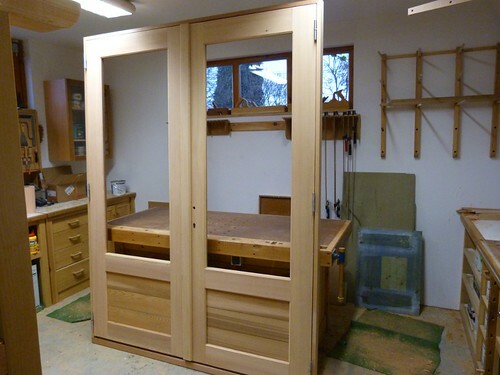 I am using on a couple of joinery projects at the moment and may post the results later. Seriously good machine and a God send from an efficiency point of view. I got both Domino systainers, with the cutters, and will see which Domino's are the mainstay, dependant upon each particular application. At first glance it would appear buying the 750mm lengths will be more cost effective to replenish stocks. Lets hope your dealer is reading this and is 'on the case'. If you have any problems finding a DF700 just let me know - I know a guy who can help! Congratulations for getting your new machine - the DF700 is an absolute dream and very easy to use. Even with the DF500 I made up my own domino lengths so that I could have sizes not sold by Festool. Post a picture of your first big DF700 project when you can. I Picked up my DF700 with both Domino Systainer assortments today walked into my dealers at 4:50 by 5:15 we were all done no waiting for days or weeks. No order just off the shelf. Well done - you must have more Festool kit than anyone that I know. Enjoy the DF700 - watch your fingers if you are used to reacting your wood from the back - this machine can go deep! i know my dealer has one in stock because i was drooling over it.usually they have to order most of the tools i want . (as im picky ) i actually saw it before he did. i explained to basic design differences to him. Just to let you know that my written review of the DF 700 is in the January copy of The Woodworker which goes on sale in the shops on 16 December but subscribers will get it a little earlier. here are pics of my second and third domino XL projects, the first one i didn't take pics of! i got the XL without the separate domino case, i asked to get the 14mm cutter for free and got it as an accessory. it's only 5% of the domino value. As much as i find the domino box for the DF500 to be indispensable, for the XL it seems way more practical to buy or make your own domino stock as long as possible and cut to size for each project to minimize waste. You have made a superb job of the doors and gates. What a good idea it is to make Afromosia dominos. I used to live in Mons - are you anywhere near there? Beautiful! Is there glass going to be put in the top panels? Again, beautiful. Simple but elegant. What do they finish these doors with? Not as "pretty" as Timtools doors, but this a 3.3m Raised Helve Field Gate that is going out tomorrow where the Domino XL was used as a hand held slot morticer. Due to the weight and size of this gate (Idigbo) I defered to tradition and all the rails are through tenoned and dowel pegged into the end posts. The mid stiles and supports are all dominoed and glued with the XL. Using the XL as a slot morticer was a breeze, no lugging large lumps of timber to and fro from the stationary Sedgwick and sweeping up loads of chippings and dust and the mortices were as clean and precise as with the Domino 500. Next job is some windows and doors and I will post how that goes later. I do this type of work for another woodworker when his guys are too busy or not competent enough, i like that kind of work, he just gives me the dimensions and wood and i build it, no hassle or fuss involved dealing with customers, measuring or fitting. The door will contain glass, but the customer was going to fit it. And after taking pics i spray painted the gate with grey-colored water based oil. @Peter how come you lived in Mons? On American or even British standards i live next to Mons, but on our standards i live on the other end of the country above Liège. See you have moved in to the new part of the workshop. Have you still got the mini traction engine in there or have you compleated the display stand for it ? Talking of English gates, this is one of my favourite episodes of the Woodwright's Shop, in which he builds a Sussex field gate. Wouldn't you want to use the domino to make the mortise first, then run the router set? Or does that not matter (in terms of getting the domino to register flush to the work piece and potentially chip it)? I have just seen your 5 bar gate - brilliant. I am sure that your customer will be delighted. I have not used Idigbo - what is it like to work with? Yeah thats what I did, 25mm through tenons in a 75mm stile, so set the 14mm cutter at the appropriate hieght, cut the first side of the mortice, flipped over and cut the other side. Then using a rebate block on spindle moulder (shaper) trimmed the tenon shoulders and it fit like a glove. Thanks John! Traction Engine still here will be a January project once I can get the aluminium box section frame made. Idigbo is a durable West African Hardwood, but can be variable in quality. Idigbo covers a number of sub species, my hardwood supplier only stocks Idigbo Emeri which I have found to be the best. Other sub species can have a lot of interlocked grain and consequent tear out issues. Quality gate Guy. Never worked with that wood either. Is it similar to Iroko ? What are some of the other sub species called ? Oh, what's with the 4 "f" clamps on the bottom rail ? Fixing a wee boo boo . Timtool, loving the look of that Cedar. Is it Western Red Cedar ? Alan its not as hard as Iroko, I have attached a link to Sykes Timber which gives the details of Idigbo. There are a multitude of subspecies but the other main one is Frameri Idigbo but that is a "pig" for tearout. The F clamps are holding an additional base rail for the ram of an automated system, dont suppose such technology and finesse has reached the Northern wilderness yet!!! 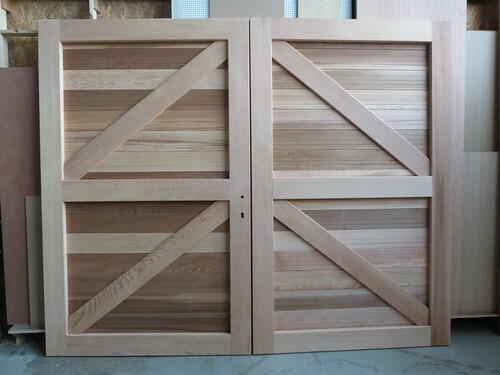 love the gate I have used lots of Idigbo to make lots of Stable doors for an old client. I agree about all the pitfalls but on a positive note it is a very cost effective timber to use. One question about the field gate, why dose the top rail not taper from 5" to 4"
Nice gate. I like gates and grids. I like the Raised Helve design. The little curve (like a shepherds staff) and tear drop at the top (traditional) is a nice touch. Is it designed that way to keep water (rain) soaking into the end grain? It has a main vice and tail vice by Veritas - they are really good and I would not hesitate to recommend them. Almost everything else is made from either scraps from around the workshop or offcuts from my local supplier, Timbersource of Frome. I had to spend a total of £230 on everything, including the vices, some 4x2 timber and the large iroko top (which was ex-display from a kitchen showroom). I hope that everyone with a DF 700 is happy with their purchase. The bench turned out superb! Really like the addition of the outlets to the benchtop. I really appreciated the review - of course, it made me drool a little (ok, a lot), but I think the DF500 will be enough for me and my pocketbook. Now, do all Brits dress up all fancy for the shop, or is it just you? Thank you - the bench turned out much better than I thought it would and so I am thinking of selling it now - but the buyer would have to collect. I actually used both the DF 700 and the DF 500 on the bench build and, to be honest, the DF 700 on a project like this was total overkill. The DF 500 is a superb all rounder and, used correctly, can be used in some quite demanding designs. However, if you want to tackle large projects, like some that have been described above, then the DF 700 really comes into its own. Maybe one day you can have both! You would be amazed what some of us wear in our workshops but in this case I was doing a shoot for a main headline photograph for a UK magazine and so I thought that I should look tidy (and breath in a little). I was really trying hard (and doing a good job) of completely ignoring the Domino XL because, well, I don't think I need one and don't want to believe otherwise. But, alas, I have failed. Great videos, Peter. That was a great introduction. I'm interested in seeing it for myself and trying it out. Excellent review of the D700 Peter. Just a warning Peter ... if my wife uses extreme interrogation techniques, I won't be able to hold back. Both yourself and Paul Marcel will be named as people that drove me down the path of Festool extremism. In some ways it's a shame ... but you must be aware that creating addictive tool reviews has it's consequences. You're not completely innocent in your actions. On the other hand, I've got away with it so far - eh? What else do you think is really cool? I started moving over to Festool about a year ago and have a relatively small array of equipment. The dominos are brilliant but then so is my Kapex, Rotex 90, MFT3, TS 55 and all the little accessories that work so well together. My favourite (at the moment) is the OF2200 router. despite its size, I find it really easy to control and I am sure that its mass and power are part of the secret to its stability. My review is on YouTube and here on the FOG of course. The unsung hero that many of us forget is the dust extractor - I have the CTL26 and I have to say that my satisfaction with so many of the Festool tools owes a lot to the superb performance of the CTL 26 and the way that tool and extractor are so cleverly integrated by the Festool designers/engineers. I have not done video reviews of either my Rotex 90 or my MFT3 - mainly because the video reviews done by Paul Marcel are so good. I may do something there if I can put some 'English' on it (ie to continue where Paul left off or look at them from a different perspective). The Rotex 90 is amazing and so quick to change from one task setup to another. I do a lot of fine work (small boxes and so on) and the RO90 is a dream. I really hesitated when buying the MFT3 but now could not do without it. My old Radial Arm Saw needed replacement and that was going to be well over £1300 (thats probably about $7 Australian by now). By buying the MFT3 and TS55 saw I have just about replaced my RAS given that I already had bought the Kapex. I can now cut 700mm kitchen worktop cleanly which was impossible with the RAS - and my setup is portable with no loss of accuracy or flexibility. The TS55 is a must have saw but I want to put mine into a CMS unit. Once there it will stay in that configuration and so I may just get a TS55R for rail sawing and to use with the MFT3. Now that the uninformed banter has died down and we have been able to have some hands-on with the new saw I think that it is a positive step forward with loads of value added fetaures, a number of improvements and Festool have kept the price the same. Next on my list is the replacement of all of my Hitachi rechargeable drill/drivers. They all have dodgy batteries and so I hope to be able to do a gradual changeover in the next few months. Lithium Ion batteries are essential for rechargeable tools as the old Nicad and Nickel Metal Hydride tend to fall over too soon. How are the dominos oriented in the angled pieces?